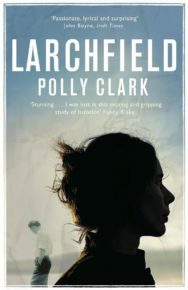 Larchfield, her debut novel, told the story of Dora, a contemporary English poet, newly arrived in Helensburgh from Oxford, who overcomes her social isolation by throwing herself into studying WH Auden. It took its title from the name of the Helensburgh public school where Auden taught in the early 1930s, isolated by his homosexuality almost as much as Dora was by young motherhood, and those two stories run on twin tracks, separated by decades, throughout the first half of the novel. Then the impossible happens. Time dissolves, and their two minds meet. On publication in 2017, Larchfield gathered the kind of praise any writer would dream of (“gripping” – Margaret Atwood; “captivating” – Louis de Bernieres) even before its shortlisting for the 2018 Costa First Book award. And those of us who agreed, impressed by that same Uri Geller-like ability to bend parallel plot lines, wondered what on earth she’d write about next. “Siberian tigers,” she told me. 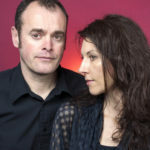 I loved that answer; it seemed to contain so much of fiction’s potential, one minute bending time, poetry, and everyday experience by the shores of Gare Loch, the next and taking us – where? Behind the eye of a tiger in the taiga? I didn’t ask, because I know how much authors hate talking about books that are still years away from publication. But it turns out that I was absolutely spot-on. She had, I remembered, told me briefly about how her fascination with Siberian tigers began when she was a teenager working at Edinburgh Zoo. That obsession has, it turns out, only been deepened by a research trip to the Russian Far East to track tigers in the snow. 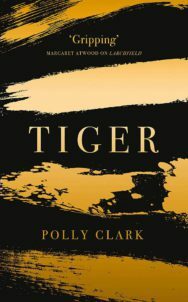 So even before we pick up Tiger, Polly Clark’s new novel, there are two parallel plots one can imagine, on past form, blending together – the world’s biggest pure-bred big cat repetitively plodding round a zoo enclosure, and tracking prey across its 500 square mile territory in Siberia. Actually, that’s only the start: the novel has so many parallel-lined plots and characters that it is effectively a big cat’s cradle of them. Behind them all, though, lies one key question: what can fiction tell us about how animals think? How close can a human come to imagining what it’s like to be a tiger? In what distant deeps or skies burns the fire of its eyes? Clark has a good bash at finding out. Her central character is Frieda Bloom, a zoologist who has taken a PhD in studying inter-generational communication among bonobos. Bonobos are the John Lennons of the animal kingdom, always giving peace a chance, making non-stop love (and face-to-face too, which is rare in the animal kingdom) to solve societal problems, and generally acting altruistically. Straight away then, we realise two things: first, that as a serious academic, she is set on studying animals on their own terms, and secondly, that when she starts work in a Devon zoo about to receive a new Siberian tiger, she has got a great deal to learn, as tigers and bonobos could hardly be more different. And tiger-keepers, she soon discovers, seem to be every bit as unpredictable, dangerous, and alluring, as their charges. One of the keepers clearly loves looking after his tiger more than he loves his wife; another is almost maddened by being banned from his job. Already, in other words, Clark has started working her fiction’s magic, getting those parallel lines – the human and the animal minds – to move closer together. In Larchfield she blurred the decades by starting off the chapters set in the past in the present tense and always using the past tense for scenes set in the present. Here, the human-animal divide starts blurring even more when we leave the Devon zoo behind and track its tiger back to its taiga cubhood in SIberia. To the humans there, the tiger is almost revered: at a conservation reservation preparing for a visit by one of Putin’s generals (and even, possibly Putin himself) everything hinges on it being able to thrive in the wild. And although the villages are starting to lose their shamanistic beliefs, tigers still – just about – remain totemic. The tiger is still the Lord of the Forest, and if it is harmed, its revenge is guaranteed. Humans cannot survive in this icy wilderness unless they start thinking like a tiger themselves. And as soon as they do that, Clark really has merged those parallel lines: a human being really is behind the eye of the tiger. Even before she moved to the zoo and started working with tigers, Frieda’s research depended on her ability to understand animal behaviour. Watching how bonobos cope with death of one of their troop, she notes, “I could feel their mood. Sticky. Violet. Goosebumps arose across my arms and chest.” At first, she is glad of the thick glass between her and them; later, she starts to befriend the bonobos, to intuitively understand the group’s dynamics, and becomes so relaxed in their company that she will think nothing of falling asleep in their enclosure. What Clark is trying to do both here, and in the rest of the book, is to metaphorically remove that thick glass separating us from the animals. And certainly, Frieda is given every incentive to move away from human society into their world: she has no family, no friends, no lovers and has become addicted to morphine after being violently attacked. In the end, for all the parallels between the four quarters – human, animal, zoo, wilderness – of the novel, I wasn’t completely convinced. But I don’t want to end on a negative note. Because what’s important about this novel is its ambition. For so long so much of our fiction about animals has been anthropomorphised. This isn’t. This is zoocentric, or animal-centred, fiction. And that may well be an impossibility. Can we actually get inside the mind of a tiger? Can its fearful symmetry ever be framed by a mortal hand or eye? I don’t know. But it is, I think, worth trying to find out.